Information provided by the band’s representatives. July 19, 2016 — All-female rock band exist†trace will broadcast a live concert from Japan on July 28, 2016 at 8:30pm (Japan time). Fans worldwide can view the band’s performance with multi-camera views from Tokyo’s Future SEVEN live house by using smartphone apps available at the iTunes store. 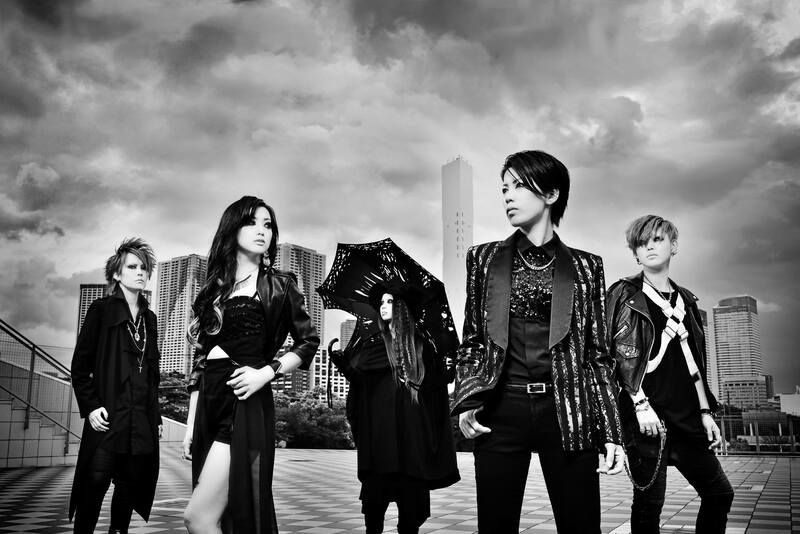 exist†trace is currently touring Japan in support of their latest CD release, THIS IS NOW. The band’s song “Neo Japanese Heroine” has been streaming on Japan’s Yahoo! Sports as the theme song of the Japan Women’s Football League (Nadeshiko League). In June 2013, exist†trace returned to America for the third time in three years to perform at A-Kon in Dallas, TX. Their next single,DIAMOND, was released in July 2013, followed by a worldwide digital release on iTunes, Amazon, and Spotify. Spiral Daisakusen was released in May 2014, and the band launched their international fan club ARCHANGEL DIAMOND the same month. exist†trace released WORLD MAKER in September 2014, and spent the following year concentrating on touring and songwriting. The band released two “one-coin” singles in 2015, “Twin Wings” and “Shout Out”, available only at live shows in Japan and through Archangel Diamond. The 6-track mini-album THIS IS NOW was released in March 2016. This entry was posted in Press Release and tagged 2016, All Girl, J-rock, jrock. Bookmark the permalink.